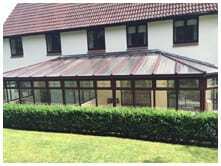 Please read through some of our reviews below to find out what our happy customer say about their new roof replacement. 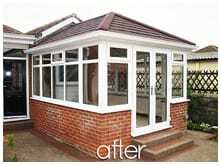 Thanks very much for the Tiled Warmer Roof it has totally transformed our Conservatory, it was a pleasure doing business with you, fantastic communications from start to finish. 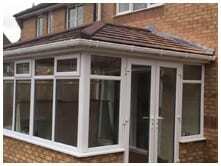 Dave came and did the Survey he was very thorough, The Warmer Roof Ordered and delivered 2 Weeks later all in the timescale promised. The Fitting Team were very polite, tidy and organised leaving a couple of days later. 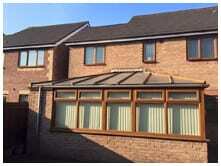 We found the quality of the Warmer Roof was second to none. 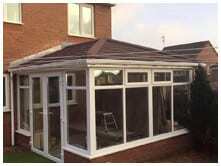 I would recommend The Warmer Roof Team to anyone wanting to upgrade their old conservatory roof to a Tiled Roof. They are fantastic company they know exactly what they are talking about and also saved me thousands of pounds many thanks to you. 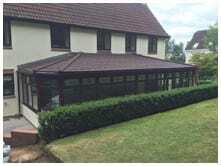 I have attached a couple of shots for you to show any perspective clients who are interested in purchasing a Warmer Roof from your company, we are very pleased with the service your provided. Always at the end of the phone with any queries we may have and nothing was a problem. 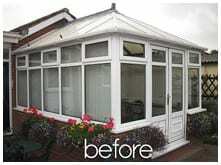 The Warmer Roof has transformed our conservatory and we now spend all our time in there. Thank you once again its been a pleasure dealing with you. 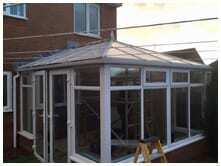 Dear Warmer Roof, here are some pictures of our completed Warmer Roof Conservatory which we are delighted with! From the first phone call everything we were told would happen did! 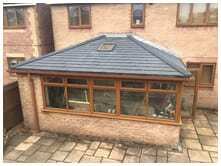 Really pleased with the Tiled Roof it keeps the Conservatory at a comfortable temperature even on a really hot day, so we can use it all day long. 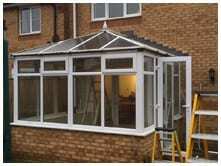 The Fitters couldn’t have been more helpful, and they went out of his way to make sure we were happy with everything. Thank you so much for all your guidance and help.